There hasn’t been a lot happening in the garden in January in terms of seed sowing. The real action starts in a few months time. But by now, a lot of the gardeners out there are starting to get a little stir crazy. Longing to be outside. So I’ve compiled a list of a few things you can start sowing now. A lot of onion varieties grown from seed can be started indoors from the end of January onwards. They can also be sown directly into their final resting place later on in the year. An alternative to sowing onions from seed is to purchase onion sets. These are small onion bulbs that are planted out to mature. There are a few varieties of leek that you can sow indoors from now onwards. The variety I’m growing this year, Lyon, can be sown from the beginning of January! As with onions they can also be sown directly into the soil later in the year. Not many tomatoes can be started now. Most are February/March sowing but if you look carefully you will find some. For example the Alicante variety I am growing this year can be sown indoors from January. A lot of chilli varieties can be started from the beginning of February indoors. 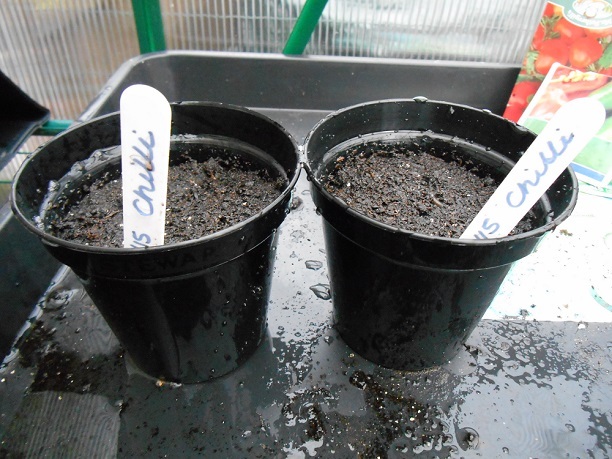 The particular jalapeno chillies I’m growing this year can be started in January. There are tons of different chillies to choose from ranging from sweet to fiery hot so I’d definitely recommend giving some a go. There is always a few varieties of salad leaves that can be grown, there are even some that can be grown all year round! I’m pleased to say I got a few hours to myself in the garden the weekend before last. 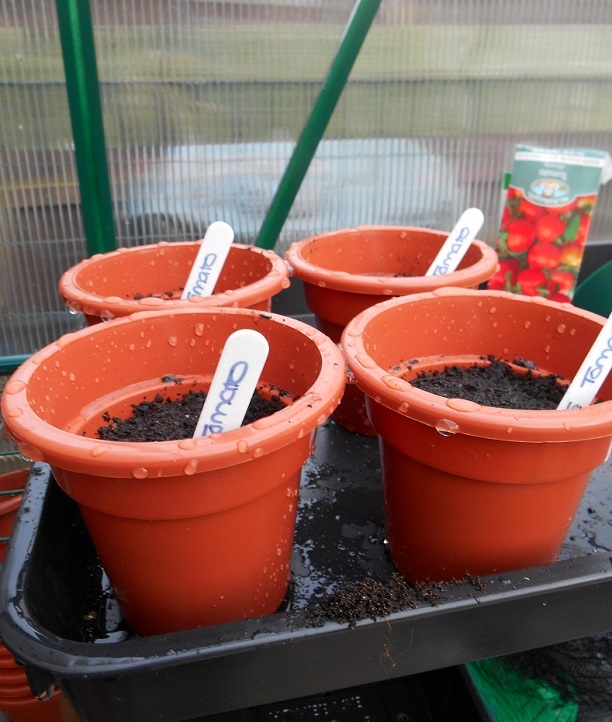 I managed to get 4 leeks, 4 tomato and 2 chilli pots planted up – this might not seem like a lot but I am very limited in space. And a few things are going to be grown in succession so that they don’t go to waste, I didn’t want to go overboard. 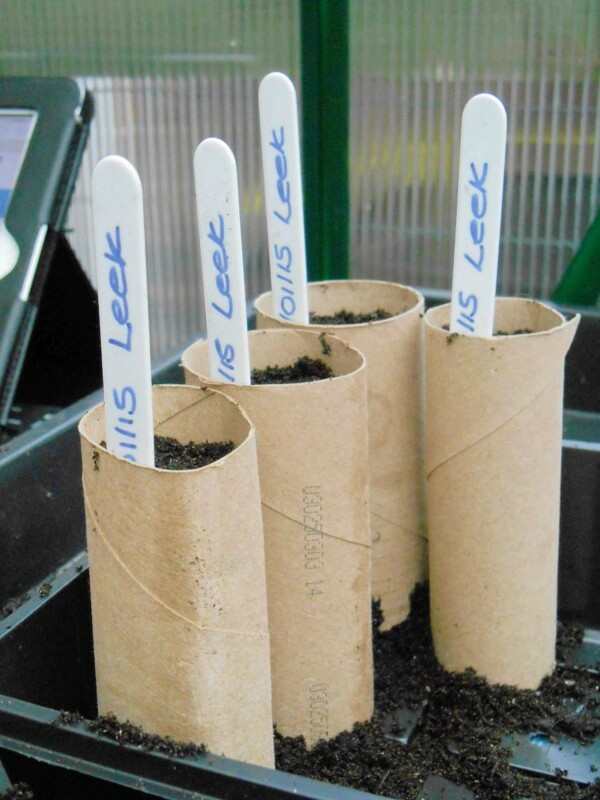 Leeks; Lyon – I planted the leek seeds in toilet roll tubes – 1 seed per tube. These will be transplanted straight to their spot in the raised bed once they’re big enough. Being planted in toilet roll tubes makes this process a lot easier as they are biodegradable. A few small cuts into the toilet roll tube to help it decompose and pop all of it into the new hole.  Tomato; Alicante – If you’ve read previous posts you’ll know I was planning on growing gardeners delight this year. Unfortunately the seed packet only had a few seeds in it and I managed to drop them in the greenhouse…so Alicante it is! The tomato seeds got a slightly larger sturdy pot each. I’ll probably re-pot them a few times until they end up in their final home. Chilli; Jalapeno – As I only really want one chilli plant of this variety (it’s only my OH that eats them really) I only planted up two pots. I did however put two seeds in each pot as I wasn’t completely convinced one would germinate as the seeds are a little old. Tomato and chillies got pride of place the heated propagator in the windowsill. Leeks are fighting it out in the greenhouse for the time being. I’m not sure the leeks will be successful this way but I thought it was worth a try. What are you sowing right now?